Clannish – Who is Missing Out? 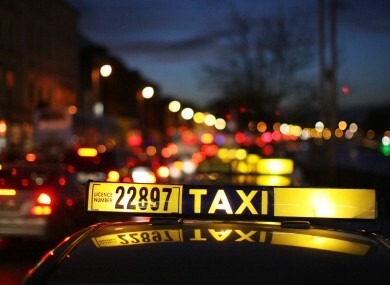 After a long day on the Cork Gourmet trail sampling food and wine in so many great establishments followed by a few visits to some popular watering holes, getting a taxi home was a necessity. I wasn’t really in the mood for small talk but our driver was a really pleasant, cheery guy from Pakistan. He asked us about our day and on the journey to Balincollig he shared with us some of his life stories and his love of Cork. It turns out our driver was a senior bank official in Pakistan but found that when he came to Ireland this experience counted for nothing so he ended up spending a few years packing shelves in Tesco. Acknowledging his lack of progression he decided to save hard and invest in a business course in Ireland, which he felt might change perceptions of him. Despite doing really well on his course his job prospects never improved and he found he was lucky to even get to interview stage. At admits now he has pretty much given up on his career dreams and has settled for his job driving a taxi. Always upbeat in his intelligent conversation with us, he did hope that his two kids, who according to himself are as Irish as we are, (complete with Cork accents!) would have better luck than he did in fulfilling their full potential. It upsets him that the Irish are so “clannish” and while not being considered for jobs he is more than qualified for is quite upsetting, he really gets upset when some people get in his taxi and jump out again when they see he is coloured. He reckons that he is experiencing now what the Irish experienced many moons ago in other countries. In the back seat of his taxi I reflected on what he was saying to us and quite honestly I couldn’t disagree with him or offer any great words of wisdom. At the end of our ride home we shook his hand, gave him a decent tip and encouraged him to keep chatting, sharing his story and changing minds one by one. To use his very politely chosen words, maybe we are “clannish” and I wonder are we sometimes missing out on the best people because of our prejudices?